At User2 we have excellent next day supply of batteries for laptops, netbooks and Mac books. As each different manufacturer and model uses a different type of laptop battery, there are literally thousands of options. For this reason we always order specifically for your machine. Rather than more expensive originals we generally supply high quality compatibles that have been tried and tested over the years. These come with a 12 month warranty which is often better than the original manufacturer! 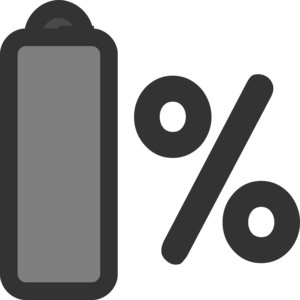 There are sometimes options for extended life battery packs which last longer between charges. Practically all makes of laptop battery are covered including Acer, Apple, Asus, Compaq, Dell, HP, Fujitsu, IBM, Lenovo, Packard Bell, Sony, Toshiba and many more. No power on battery - If your laptop is working fine with the charger but doesn't even power on with the battery alone, then your battery may need replacing. PSU's or DC sockets with a faulty centre pin would confuse the issue however as they may be preventing the battery from charging. Check first before ordering. Laptop discharges quickly - If the battery simply doesn't hold charge for as long as it used to...It's new battery time. If you are unsure whether you need a new battery, bring the laptop and power supply into us for testing . We often find the PSU or DC socket is faulty rather than the battery itself. Over the counter checking and diagnostics of this kind are always free of charge so nothing to lose. Furthermore if the PSU is the culprit, we will probably have it in stock, and it's even cheaper than a new battery.